The dining scene in Kuala Lumpur is constantly evolving and there are always new restaurants opening up in all sorts of genres. But in terms of great Italian fine dining restaurants, you can pretty much still count them in one hand. 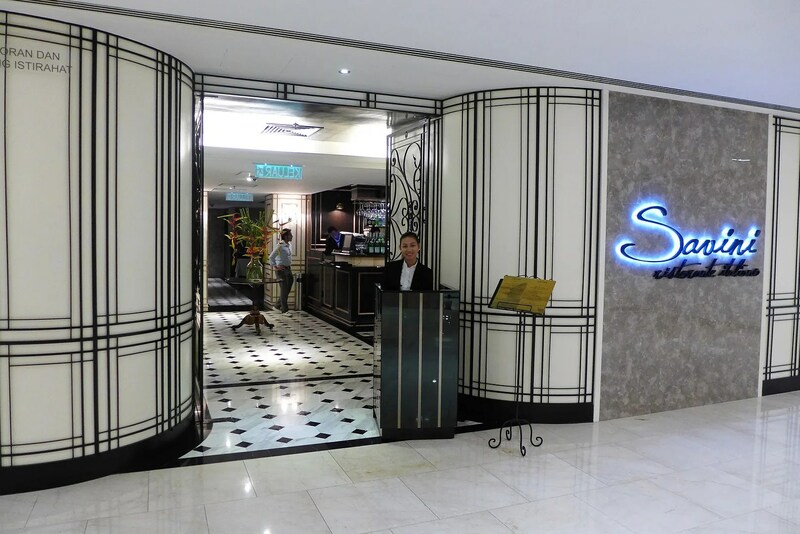 Will Savini, lives up to its promise of delivering unforgettable dining experience with exquisite dishes? Read on and judge for yourself. 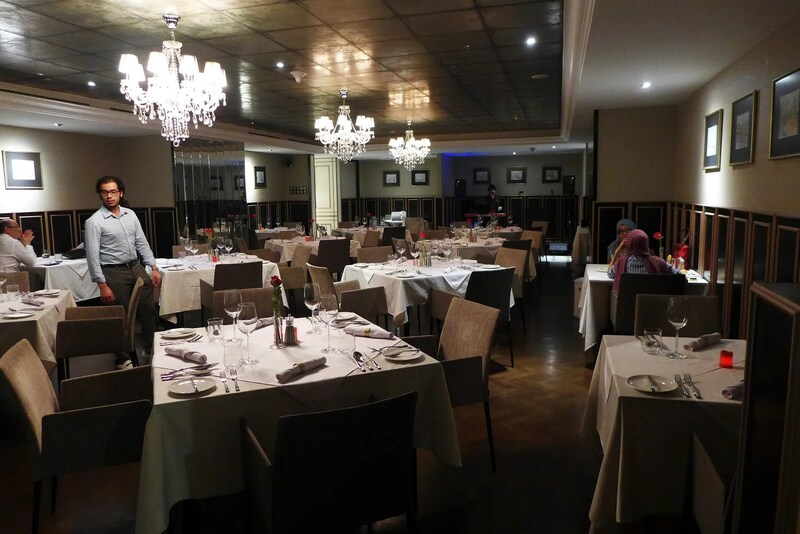 Savini is located at the Intermark, which is not exactly an easy place to get to during Peak hour traffic. But granted, it’s a classy venue and the restaurant itself is large, boasting a fully equipped bar, bar lounge, cigar lounge, 3 private rooms and a dining hall. With such opulence, it’s no surprise it will cost some considerable moolah to dine here. But of course, this dishes here are mostly laced with premium ingredients. 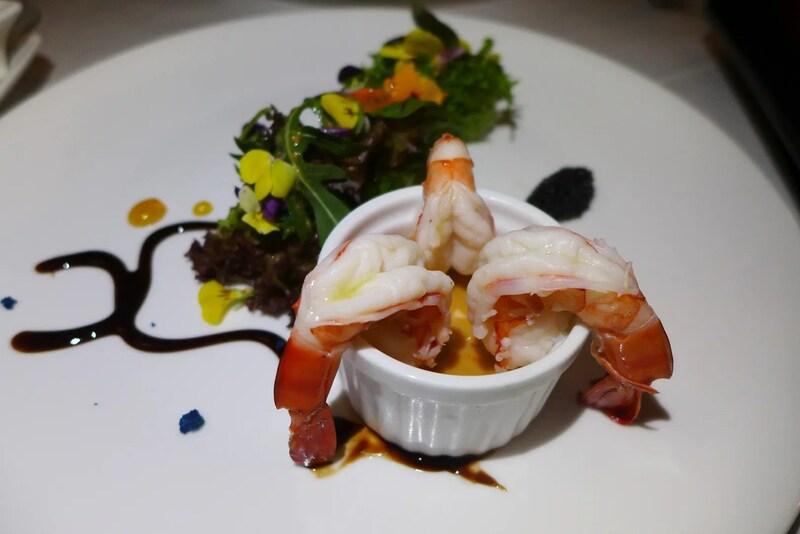 Chef Azizan is the brain behind the menu and the food here is kept fairly classic, though with a modern touch. 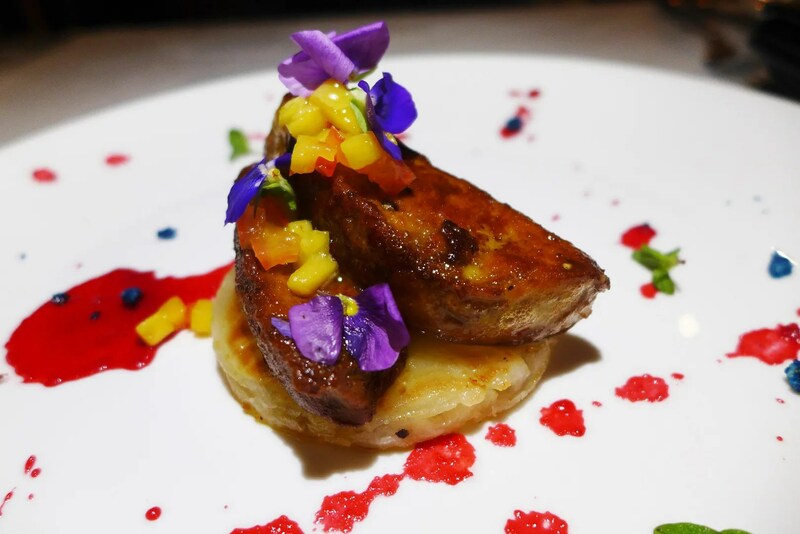 Our first starter was the Foie gras, Pan seared Goose Liver served on a Pineapple slice drizzled with Madagascan Vanilla Pod Infused Honey (RM45), served with rather eye catching splatters of red (raspberry, I think). The liver itself has a good sear, although I’d prefer it to be more buttery in texture. I think the pineapple slice didn’t really do anything for me, maybe the flavours will gel more if it’s more on the tart side. By the way note the first appearance of the Mango Salsa (and edible flowers). Next up, the Gamberetti cocktail, featuring Poached Shelled Prawns with Chili and Capers Infused Mayonnaise in a glass (ramekin) served with a Mesclun Bouget (RM45). Capers with Seafood always work well together, although I didn’t really detect the chili. It’s served with a quenelle of Caviar too. 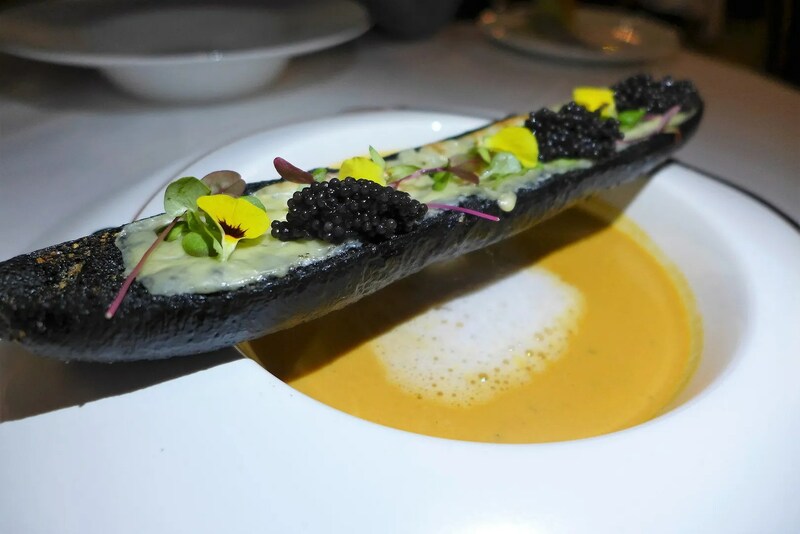 Bisque di Aragosta, Milky Foamed Lobster Bisque served with Cheese Bread (RM65) arrived on our table (along with more Caviar and…. flowers) and immediately the smell of ocean hit my nose. 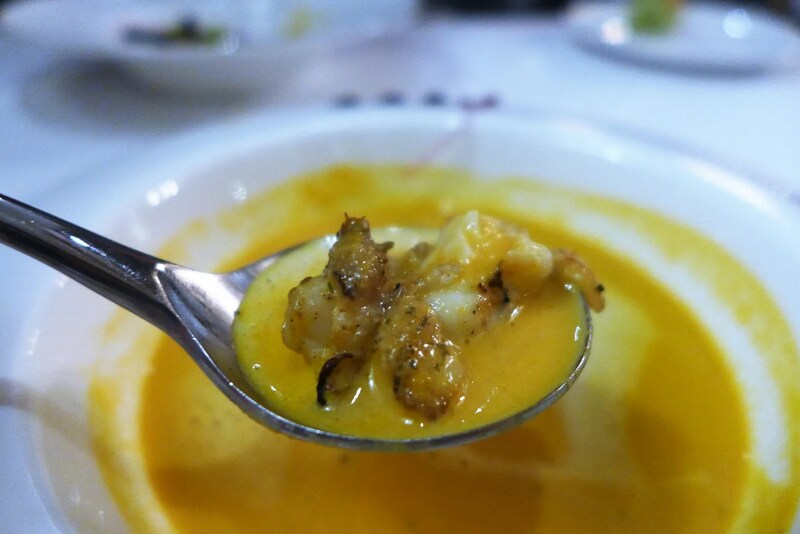 The soup is briny, naturally sweet, and just sufficiently creamy without being cloyingly so. Comes with chunky bits of Lobster, which is always welcomed. 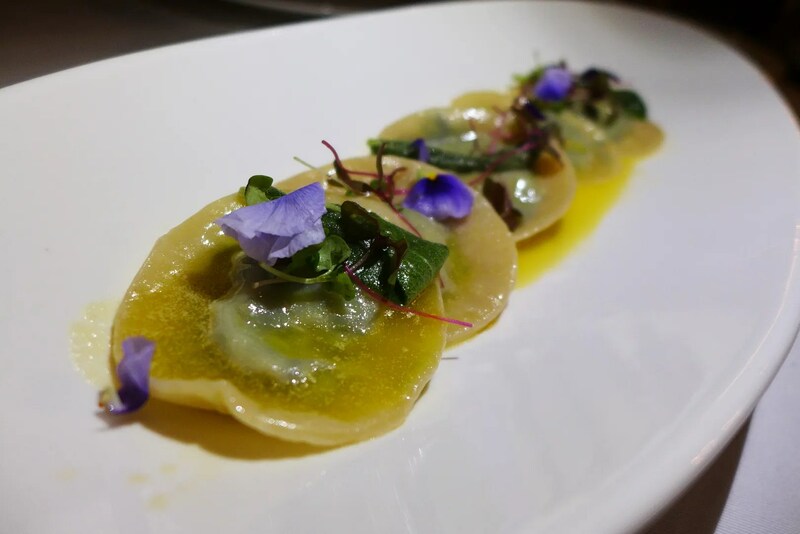 Of course, one does not dine in a Italian restaurant without having some Pasta, and ours came in a form of Spinach Ricotta Ravioli, with pillows of pasta stuffed with Spinach and Ricotta Cheese garnished with Herbed Butter (RM40). this one is slightly on the bland side, but it’s nice to get that herbaceous note. 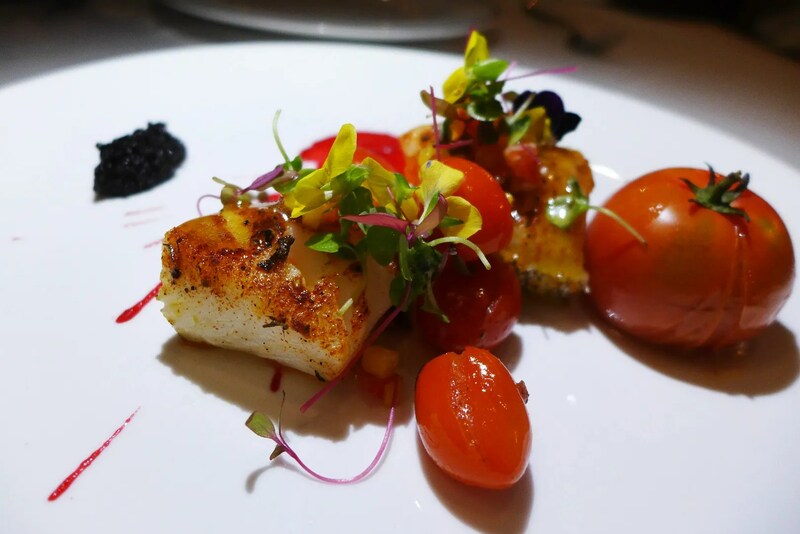 One of Chef’s signature dish is the Cod Fish Ala Savini, Cajun roasted Cod Fish with Cherry Tomatoes and Madagascan Vanilla Pot Infused Mango Salsa (RM90). It’s nearly impossible to mess up Cod Fish unless you overwhelm the dish with too much going on. Here I think the Chef has strike a good balance with buttery soft fish with just enough seasoning to entice the palate. Although the star of the dish is actually that roasted vine ripened tomato, bursting with umami flavour. Red Velvet Chocolate Cheese (RM39), I ony had a small bite of this because I don’t eat chocolate. 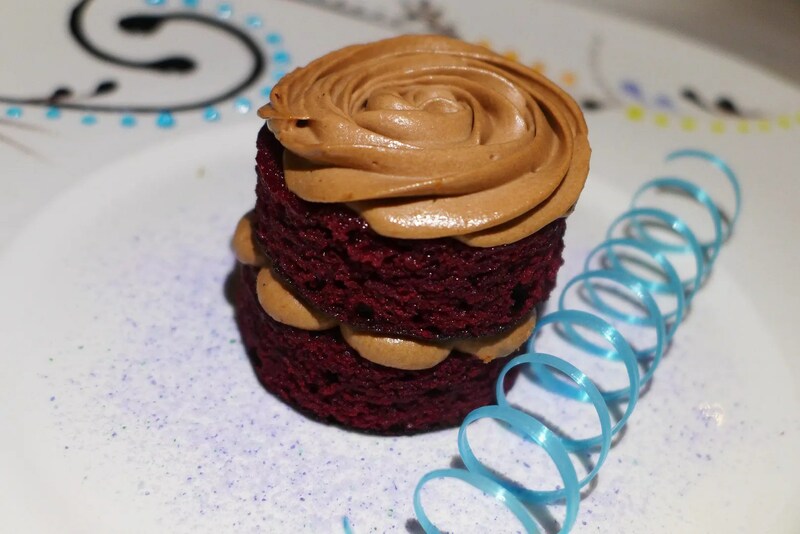 But the cream cheese frosting is lovely. 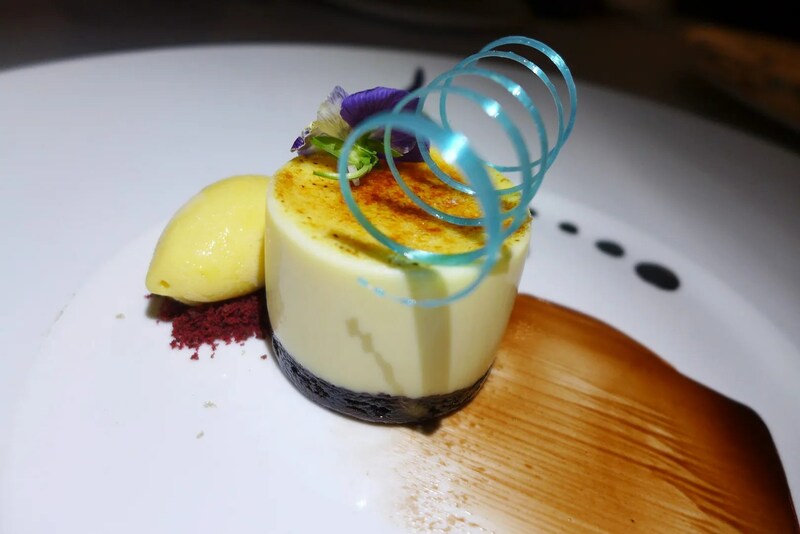 The Creme Brulee uses Madagascar Vanilla, and this to be was the best dessert of the lot, as it is executed to textbook perfection. 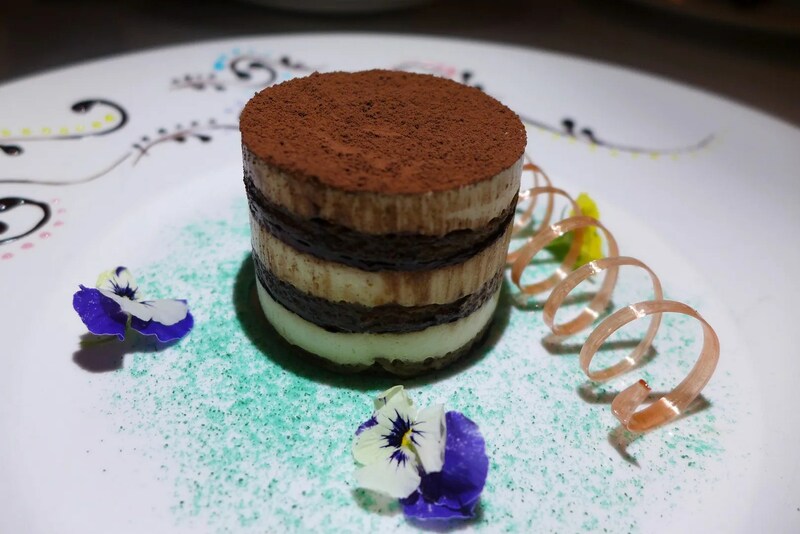 A rather elegant presentation of Tiramisu with layers of coffee soaked sponge, Mascapone cheese and topped with cocoa powder. If I have one critique I would have liked to taste more coffee and sponge. I’ve heard a few things about Savini’s mixologist, but we have kept to just wine that night. Incidentally the wine list is pretty comprehensive, and you can always rely on the staff to make appropriate recommendation. There’s also a live band every Wednesday, Thursday, and Friday for some entertainment (mostly oldies, and some Jazz). Thank you Savini for having us! “opulence” – you sure can say that again but of course, most importantly, what they dish out must be very good, value for money…so diners would not feel shortchanged. I would love that red velvet and I’d like the creme brulee too – never seen it served this way before, sure looks perfect, indeed..
Well there are some hits and misses, to some people it might be unacceptable for the price tag.